Pitmaster Matt Dallman brings us a taste of his Kansas City home. Ribs are coated with a sweet glaze. 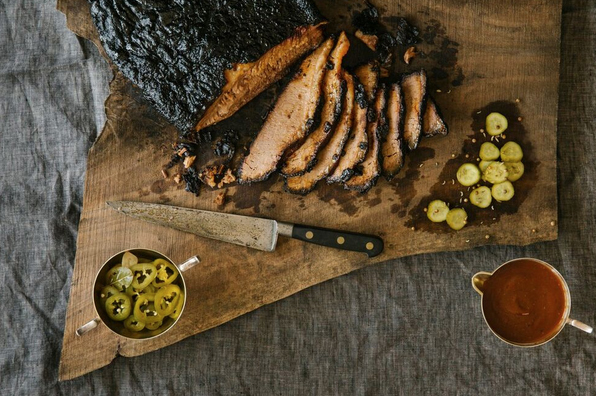 Brisket, smoked over maple, hickory, and oak woods, is sliced thick. Dallas chef Scott Gottlich developed the recipes for many of the side dishes. Before or after dining, you can slide upstairs to the bar with live jazz.